The installation is pretty simple. The hardest part was liningup the bolt for the differential brackets, and that only added a couple ofminutes. No drilling was required. The kits come complete with plate and new hardware. These plates from Lone Star Racing are very nice. Workmanship is great and everything fit in place well. The plate is laser cut from heavy gauge chromoly steel and they look very stout. 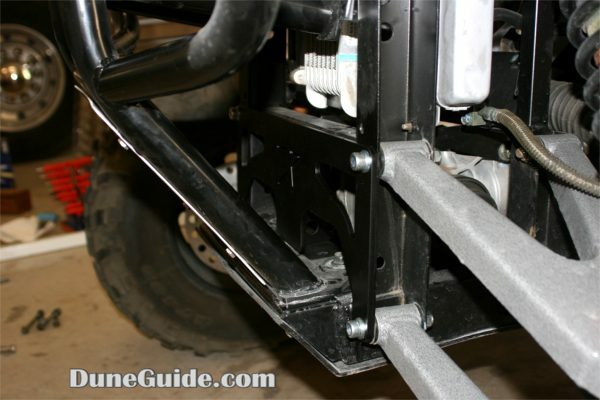 This plate is designed to reduce rear frame flex which leads to chassis failure. 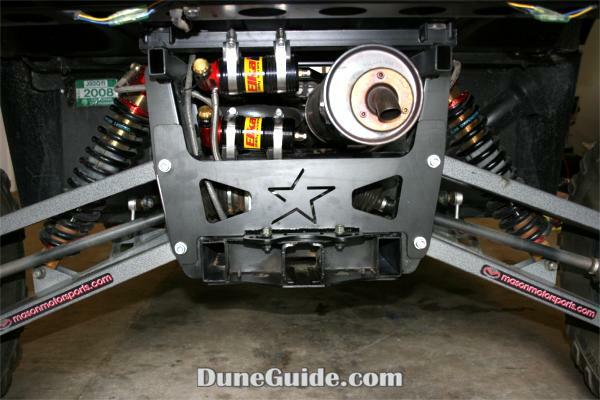 Lone Star Racing also adds a special tab that mounts to the bottom of the front and rear differential that adds a significant amount of strength and reliability to the differentials. 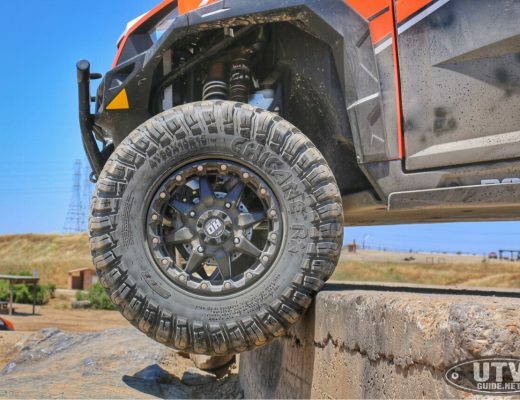 We highly recommend the plates to any Rhino owner, and especially to anyone with a long travel kit.